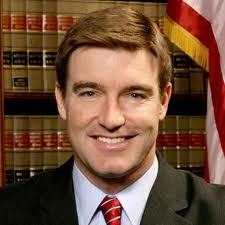 FRANKFORT, Ky. (Legal Newsline) - Kentucky Attorney General Jack Conway filed a lawsuit on Tuesday against a Kentucky propane gas provider for allegedly violating the Kentucky Consumer Protection Act. Conway sought and was granted a restraining order against United Propane Gas Inc. that will allow customers of UPG and its 23 subsidiaries to obtain propane from another supplier without a written release until February 3. The court order suspends the requirement that a tank owner/supplier provide customers with a written release before another supplier is allowed to fill the tank. "I appreciate the judge ruling on behalf of consumers who need access to propane to heat their homes and operate their businesses," Conway said. Conway's office received complaints from residential customers and farmers about UPG, alleging they had difficulty reaching a representative or could not secure a waiver from the company to replenish their propane supplies. Conway's office worked with UPG to obtain a blanket waiver for customers which expired on Tuesday. The office demanded that UPG extend the waiver through the week because of the company's lack of supply and cold temperatures. When the company allegedly refused, Conway's office filed the lawsuit. "The majority of propane companies, while facing shortages, are doing the right thing," Conway said. "They are working with customers to make partial deliveries or provide waivers. This has not been the case for UPG. It baffles me why a company would not put the needs of its customers first, especially with the recent weather conditions we've been experiencing in Kentucky."